Who else loves a Kmart hack? Pinterest is a great go-to for ideas that turn Kmart’s already great pieces into individualised, re-imaged stars of home decor. Ideas are brimming for kids rooms in particular and I’ve narrowed it down to my top three available right now. The Large Wooden Kitchen ($89) is super cute but simple tweaks can turn this affordable piece into a designer fit-out worthy of envy. I’ve seen the cupboard transformed into an upright Smeg fridge, subway tiles added to the splashback, and all manner of accessories added from cute timber appliances to gold tapware. The Timber Storage Bench ($45) can be transformed into a gorgeous toy box with minimal effort. Add a coat of paint and attach wooden letters to the front to spell your child’s name or simply ‘Toys’ and presto. Other easy toy storage converts include this Wire Bin ($6) which, with the addition of a timber top, turns into handy storage for plush toys as well as a cute side table. Here’s where you can get really creative. 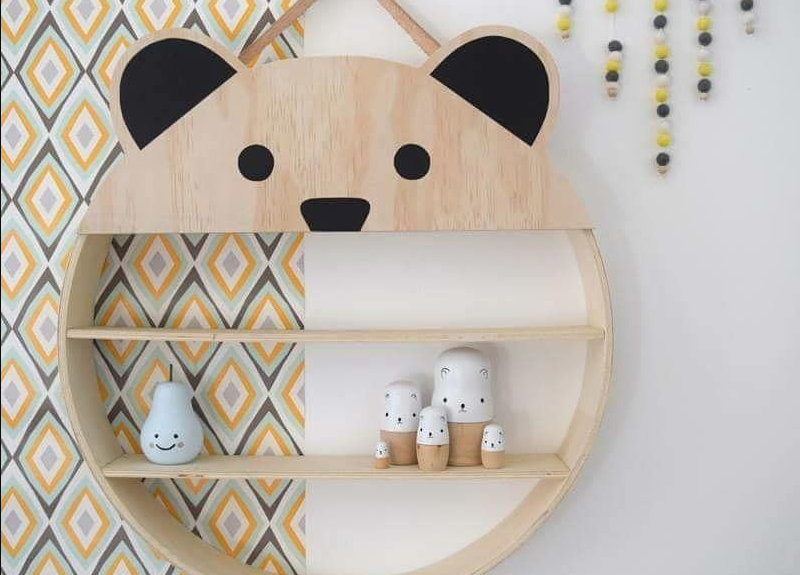 The Plywood Round Wall Shelf ($19) can be made over in endless ways. A quick search reveals the clever use of fairy lights, adding ply cut-outs such as a half-moon on one side, and even some grown-up hacks like using it on the kitchen wall as a spice shelf or for small canisters. If you have made or discovered any great Kmart hacks, tag @toowongvillage on Instagram and share the inspiration. About the author: Laura Churchill is a former journalist, Brisbane stylist and fashion event director. Her work is regularly seen across Toowong Village through our personal styling program, social media and events.